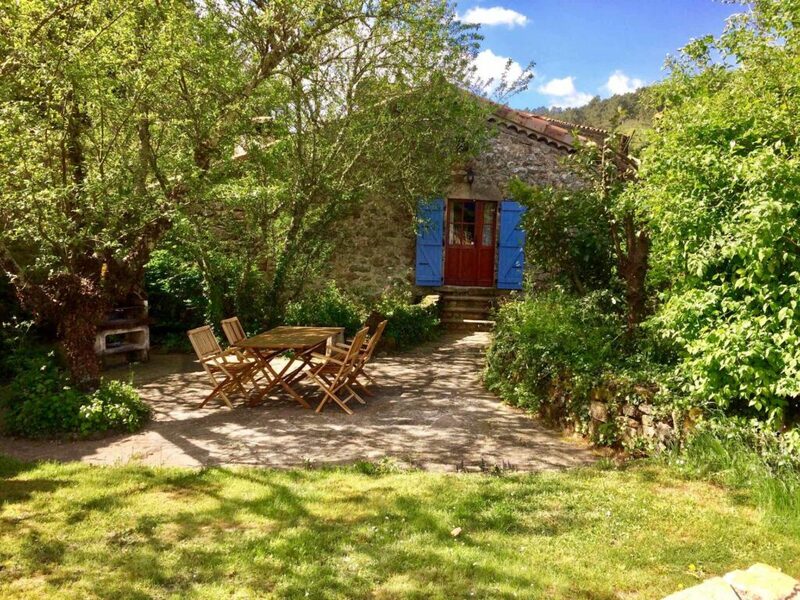 Your holiday home at the heart of the Ardèche: four tranquil holiday homes around a restored former water mill in the middle of nature and close to all the beautiful Ardèche landscapes and villages. 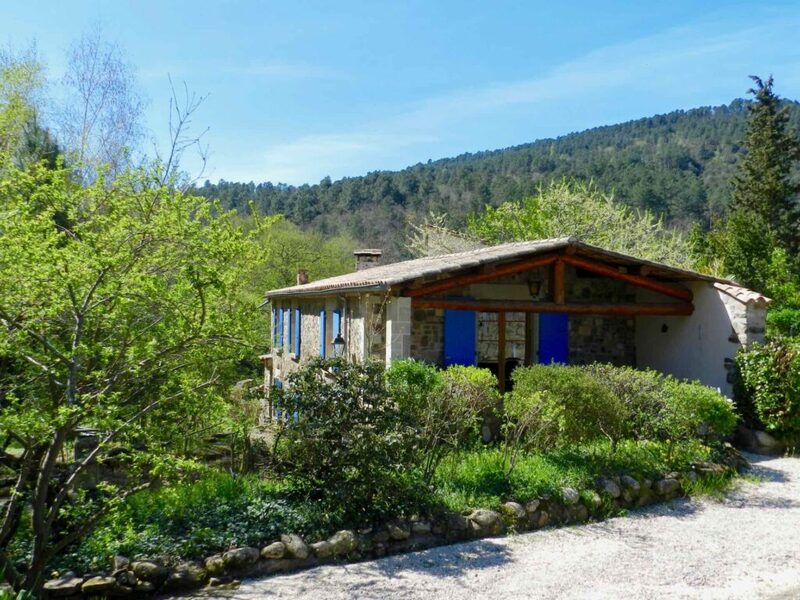 Enjoy peace and quiet at a small river with private sandy beach, relax at the pool, stroll along the vineyard, make some pizza or explore the many sights of the Ardèche. The Orangerie measures 100 m2 and is suitable for 5 people. 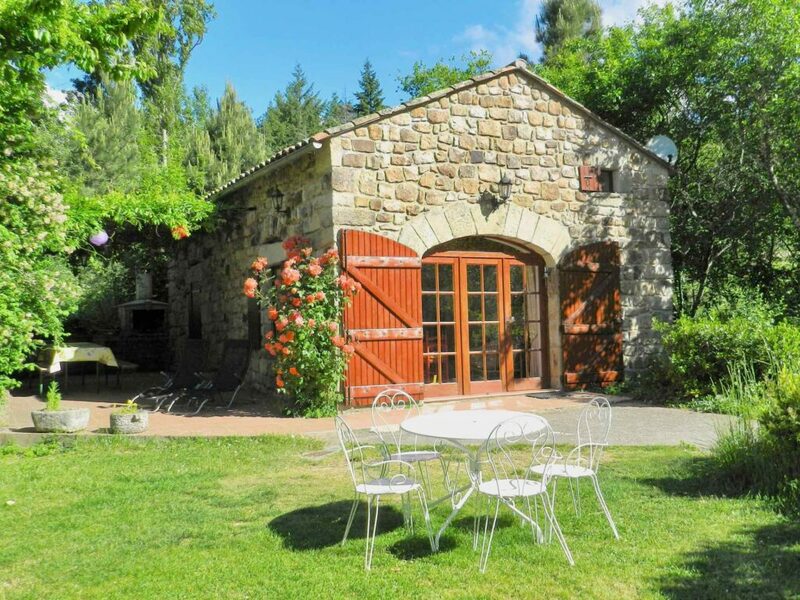 It is a two-storey house on the sunniest spot of the domaine. It offers a big lawn right in front of the holiday home. The Gîte du Moulin holiday cottage is situated closest to the river. The cottage measures 115m2, has 2 bedrooms and can accommodate 5 persons. Between the big terrace and the river is a large lawn. 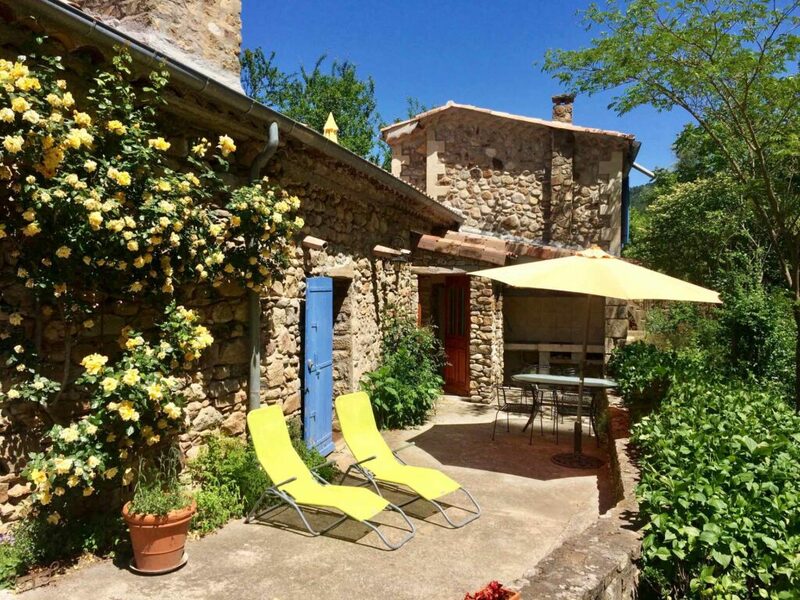 The Bergerie is a 4-person, 80 m2 holiday home with two terraces: a sunny one, accessible from the living room, the other offering more shade and a vineyard view. La Clède holiday cottage measures 95m2, has 2 bedrooms and sleeps 4 (with room for a baby bed extra). The covered terrace in front of the front door offers a fine vineyard view and is ideal for warm weather. The sunny lower terrace towards the river is surrounded by bamboo. The swimming pool measures 12 by 5 metres. It has a shallow end for children to play in and a deep end for swimming larger stretches. 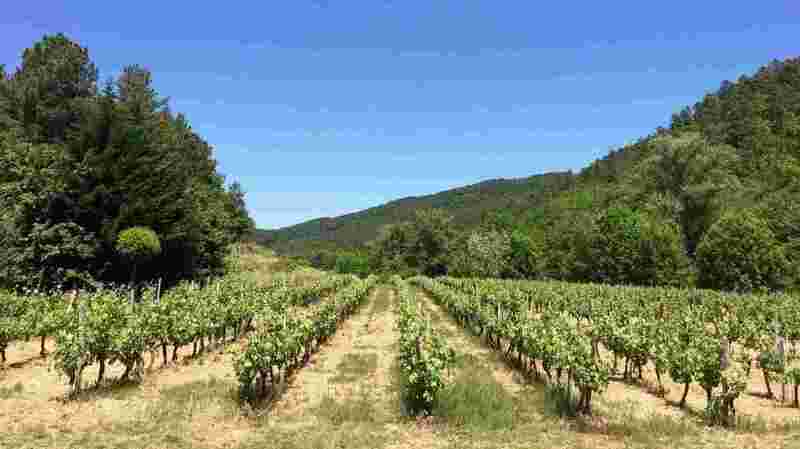 At the end of the vineyard is a private, natural sandy beach. An ideal spot to relax on the deck chairs and listen to the small waterfall. Four tranquil holiday homes in the middle of nature, next to a small river and surrounded by vineyards. Enjoy the silence. A quiet haven on the river with all you could want. The gîte was clean and well-stocked, with a nice veranda to eat outside. The pool is lovely. I would thoroughly recommend it and would love to go again.